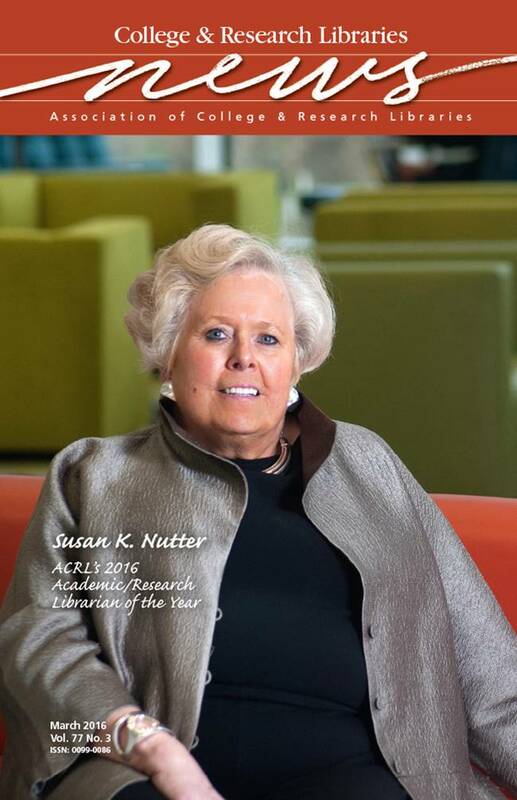 Susan K. Nutter, vice provost and director of libraries at North Carolina State University (NCSU), is the 2016 ACRL Academic/Research Librarian of the Year. Over the course of her nearly 30-year tenure at NCSU, Nutter has been a visionary, outwardly focused leader committed to demonstrating and heightening the value of the library in higher education. She raised the profile of the library on her campus, integrating innovative library services into the fabric of the university’s academic and research agendas and elevating the reputation of the NCSU Libraries locally, regionally, and nationally. Under her leadership, the NCSU Libraries received the first ACRL Excellence in Academic Libraries Award in the university library category in 2000.